By transforming its planning processes with IBM® Analytics, premium shoe company Allen Edmonds gains insight into sales, regional preferences and more. Smarter decisions about which items to place in which stores help the company boost sales, customer satisfaction and loyalty—even while reducing inventory levels. When you buy a pair of shoes from Allen Edmonds, you expect a perfect fit. To keep customers coming back for more, it’s vital to stock the right styles and sizes in the right stores at the right time. 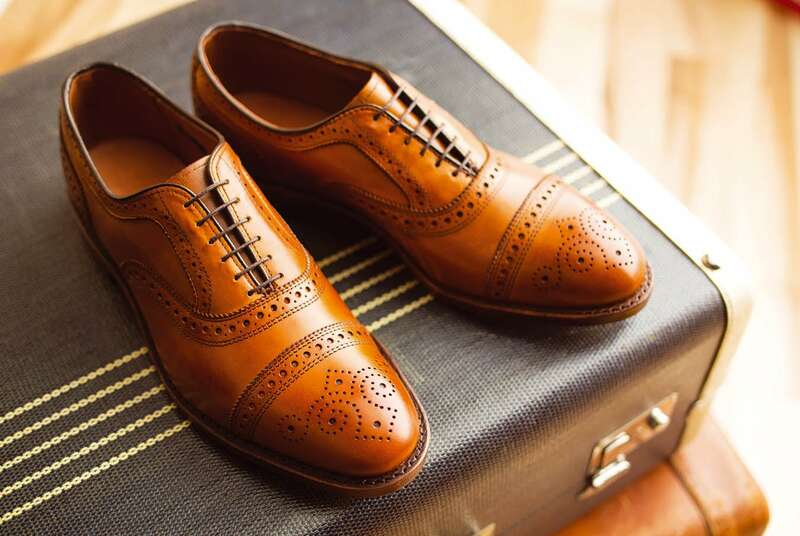 Allen Edmonds partnered with eCapital to transform the way it analyzes its business, using IBM Planning Analytics, formerly IBM Cognos TM1, to make better recommendations on assortments, inventory and pricing. Customers come to men’s shoe specialist Allen Edmonds when only the best will do. To ensure it can give each customer the look they want and the comfort they deserve, the company stocks approximately 100 size and width combinations for each shoe style. Connie Walsh, Director of Retail Inventory, Planning and Analysis at Allen Edmonds, explains: “Offering customers a perfect fit is a key competitive differentiator for us, but stocking so many variations of each item results in considerable complexity. 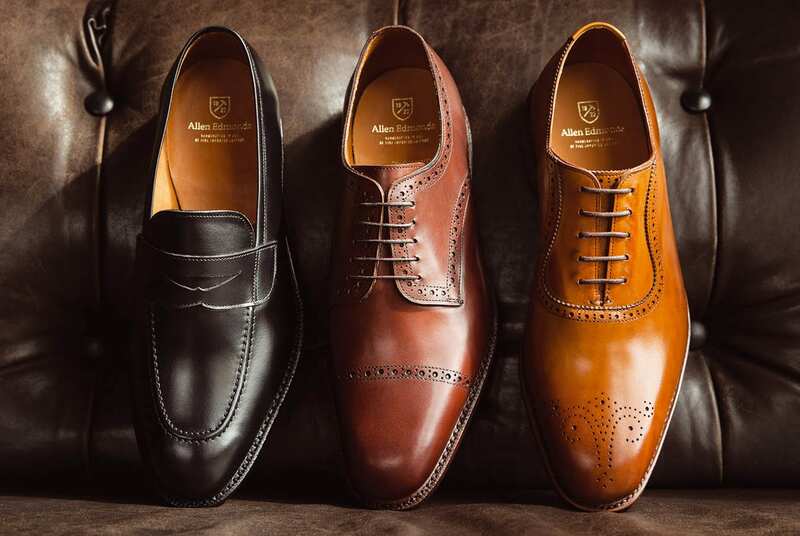 In the past, Allen Edmonds planned its assortments, inventory and pricing using spreadsheets—but as the business grew, these processes became increasingly time-consuming. The company’s sales, inventory and margin reports were unable to provide the detailed insight that the company requires to make accurate, timely business decisions. To get its planning on a better footing, Allen Edmonds took steps to search for a better option. Allen Edmonds began its solution selection process by carefully considering its requirements. One of the key items on the wish-list for the new solution was to minimize the amount of time and effort that both the merchandising planning and IT teams would need to spend on system administration and maintenance. As a result, a cloud-based platform was high on the list of priorities. To help it find the right solution for its needs, Allen Edmonds joined forces with eCapital, an IBM Business Partner that specializes in analytics solutions, and has deep experience in financial and operational performance management. When eCapital presented a demo of IBM Planning Analytics, the Allen Edmonds team immediately realized that it was a good fit with what they wanted to achieve. In addition to the fact that IBM provides Planning Analytics as a fully managed service in the cloud, the solution’s hierarchy management capabilities were ideal for complex, multidimensional planning by store, style, color and size. Once Allen Edmond’s leaders gave the green light, the IT and merchandising planning teams worked closely together with eCapital to design and deliver the solution. Today, sales and inventory data from the company’s ERP system is uploaded to IBM Planning Analytics in the cloud, where it can be automatically modeled and analyzed. 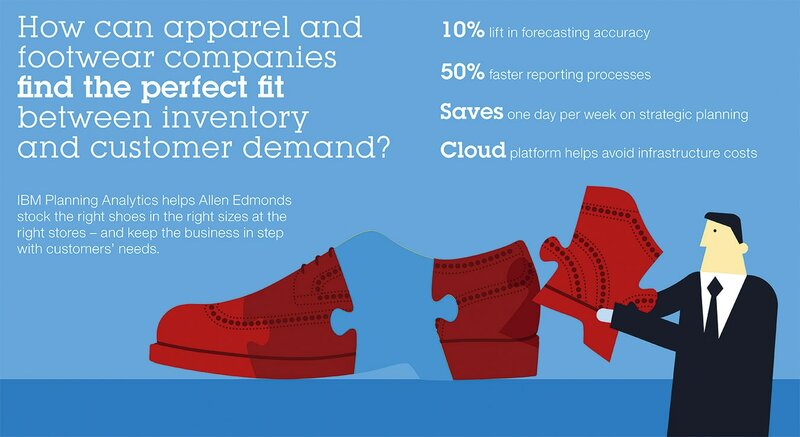 As part of the project, Allen Edmonds examined its existing set of spreadsheet reports, assessed how valuable each report was to the business, and rebuilt the relevant ones in IBM Planning Analytics. Now, users can view reports from a web interface, rather than having to compile and circulate spreadsheets. Frequently used reports such as rolling forecasts are updated automatically, and each individual can save their own subsets of the reports that are most relevant to their job role. With the solution in place, Allen Edmonds has transformed its planning and reporting capabilities. Connie Walsh remarks: “Our reporting processes are at least 50 percent faster now, and the ability to deliver results faster has a real positive impact on the way we do business. “For example, on Mondays, all business functions meet to discuss new developments and how we plan to react to them. In the past, we spent almost the entire day compiling reports, which delayed that decision-making process. Inventory planning is one of the key areas that Allen Edmonds can now analyze in greater depth. With granular insight into the sales of each shoe by location, the company can calculate how many units of each style, size, width and color we are likely to sell, and which stores should stock which items to maximize revenues. Armed with this insight from the merchandising planning team, Allen Edmonds’ manufacturing team can adjust their operations on-the-fly—for example, ramping up production of top-selling shoes, and halting production of items that aren’t selling as well as the company had hoped. That agility can be particularly important during busy periods in the shopping calendar or at major events that generate significant sales. Allen Edmonds is also using the platform to analyze margins for its shoes and other items—including apparel, leather briefcases and belts—to determine which products are most profitable. The company is also testing how stores perform with different assortment sizes, so that it can determine the optimal level. Furthermore, the company is analyzing the number of visitors (foot traffic) and conversion rates at each location—aiming to understand how to optimize the in-store environment to maximize sales. With these insights, Allen Edmonds can boost the profitability of its business, and make smarter decisions about which items to stock at each location as it expands its branch network. Building on its success, Allen Edmonds has more exciting plans up its sleeve. Allen Edmonds has been handcrafting top-quality shoes since 1922, and has more recently expanded into belts, briefcases, bags and apparel. Managing the entire supply chain from manufacturing through to retail, the company has an unparalleled ability to ensure that its customers always receive a perfect fit. The company operates 70 stores and is headquartered in Port Washington, Wisconsin. © Copyright IBM Corporation 2017. 1 New Orchard Road, Armonk, New York 10504-1722 United States. Produced in the United States of America, May 2017. IBM, the IBM logo, and ibm.com are trademarks of International Business Machines Corp., registered in many jurisdictions worldwide. Other product and service names might be trademarks of IBM or other companies. A current list of IBM trademarks is available on the web at “Copyright and trademark information” at ibm.com/legal/copytrade.shtml. This document is current as of the initial date of publication and may be changed by IBM at any time. Not all offerings are available in every country in which IBM operates. THE INFORMATION IN THIS DOCUMENT IS PROVIDED “AS IS” WITHOUT ANY WARRANTY, EXPRESS OR IMPLIED, INCLUDING WITHOUT ANY WARRANTIES OF MERCHANTABILITY, FITNESS FOR A PARTICULAR PURPOSE AND ANY WARRANTY OR CONDITION OF NON-INFRINGEMENT. IBM products are warranted according to the terms and conditions of the agreements under which they are provided.